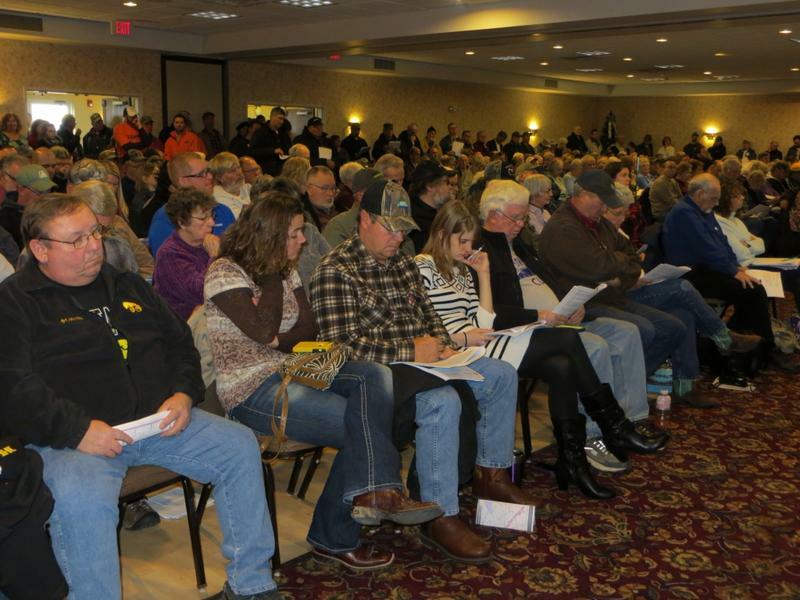 It was standing room only when roughly 350 people turned out at a meeting yesterday in Fort Madison. Meetings continue today in Iowa communities along a proposed pipeline that would transport so-called Bakken crude oil from North Dakota diagonally across the state. So many people showed up at a Fort Madison motel, it required some crowd control. "Non landowners can sign in on the left table over here and landowners can sign on the right side,” said a representative of Energy Transfer Partners as interested parties streamed into the Comfort Inn ballroom. Landowners whose property the pipeline would traverse signed in. It’s the first step before the company can begin to ask for easements for the 30 miles the pipeline will cover in Lee County alone. That’s all in anticipation of a permit from the Iowa Utilities Board. 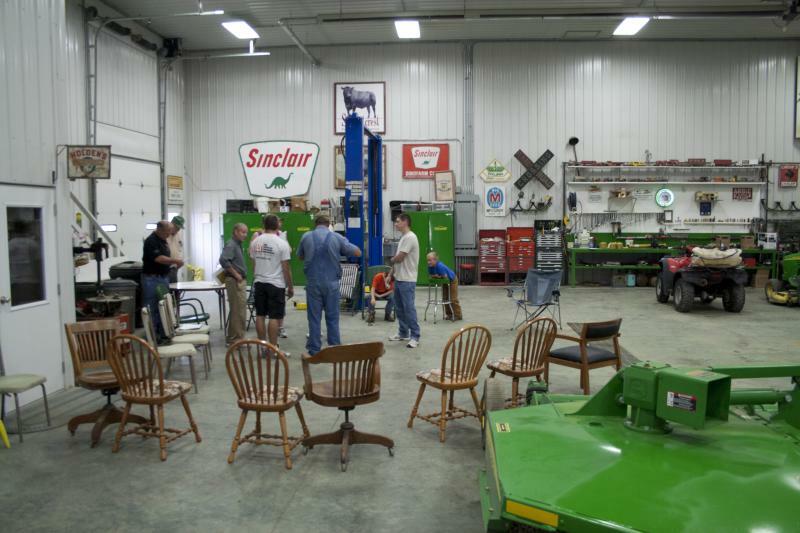 Energy Transfer Partners has already been reaching out to landowners like Barent Hasek of Donnellson. But those company representative may be harder to ignore now, so once inside the ballroom landowners got the lowdown on what to expect when agents come around. They were briefed on everything from how deep the pipe will be laid, to how to file a formal complaint. Energy Partners Vice-President of Engineering Chuck Frye describes the safety measures the company will employ, beginning with laying the pipe down. Frye says the pipeline will meet or exceed all state and federal safety requirements including emergency response plans. Landowner Matthew Crowe also of Donnelson is worried about the Mississippi River. “I'd like to know what happens when that pipe fractures along the river and starts pumping the poison into our water,” Crowe says. Landowner Victor Conlee of Montrose wonders how they’ll cut off the flow of oil in an emergency. “Will there be any safety shutoff or valves here in Lee County?” Conlee asks. Frye says the pipeline will be drilled fifty feet under the Mississippi River. He says shutoff valves can be activated remotely up and down the pipeline. And he says they’ll monitor constantly including by aerial surveillance. Supporters of the project say construction of the pipeline will create hundreds of jobs and pump millions into the Iowa economy. Ryan Drew is president of Southeast Iowa Building Trades. He says another big project in the area…a new fertilizer plant in Fort Madison ….will wrap up in the near future. In the meantime some of the company’s agents might not be very warmly received as they set out soon to seek easements. Darryl Hornung of Montrose says what he’ll do if someone shows up at his door. But Chuck Frye promises they’ll respect the landowners’ property including the valuable topsoil. “That’s the last thing placed back when construction is complete,” Frye says. The informational meetings continue today in other counties along the route, including in Fairfield in Jefferson County. State Representative David Heaton of Mount Pleasant wonders where they’ll put everyone. But the pipeline will traverse fewer miles in Jefferson County compared to Lee County. So there may be fewer landowners showing up with questions.